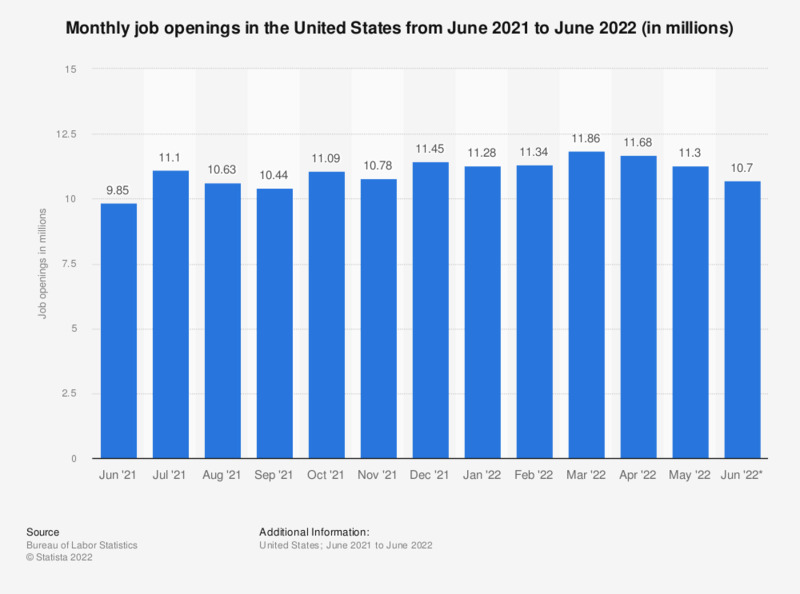 This statistic shows the monthly number of job openings in the United States from February 2018 to February 2019. The data are seasonally adjusted. There were about 7.09 million job openings on the last business day of February 2019. The data are seasonally adjusted. Everything On "U.S. unemployment" in One Document: Edited and Divided into Handy Chapters. Including Detailed References.